This fun slouchy hat is made on the purple 48-peg Knifty Knitter adult hat loom. 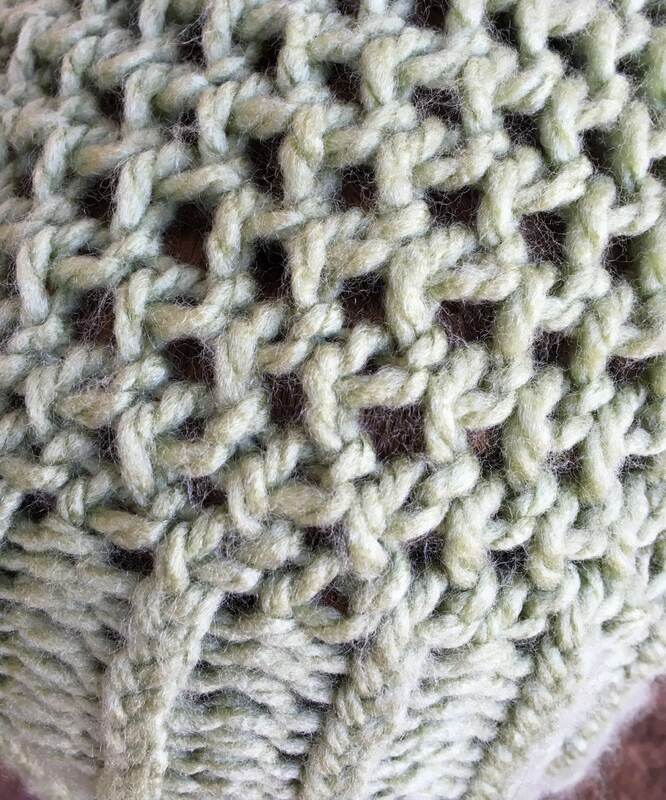 The stitches used include e-wrap knit, purl, and the mock crochet stitch. 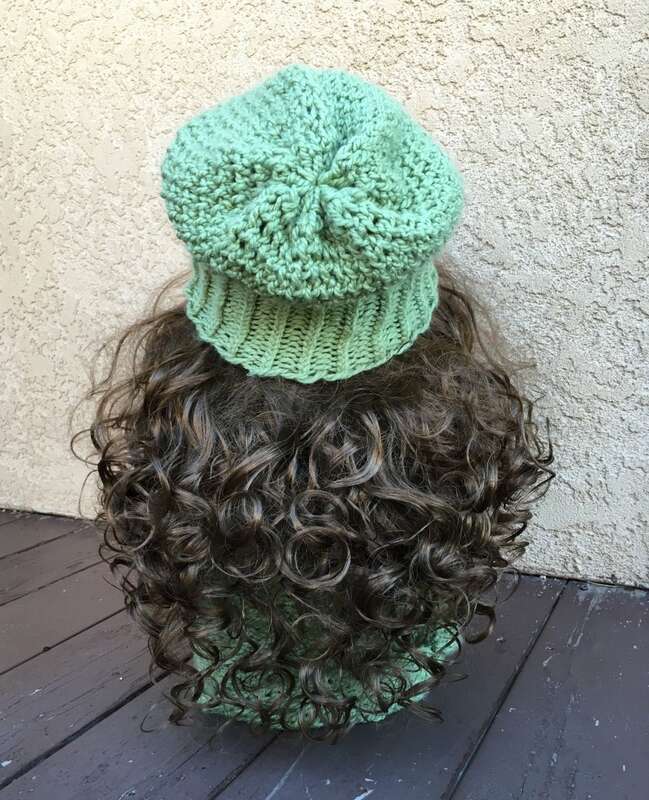 The unique mock crochet stitch is completely explained in the pattern and adds an interesting texture to the crown of the hat. 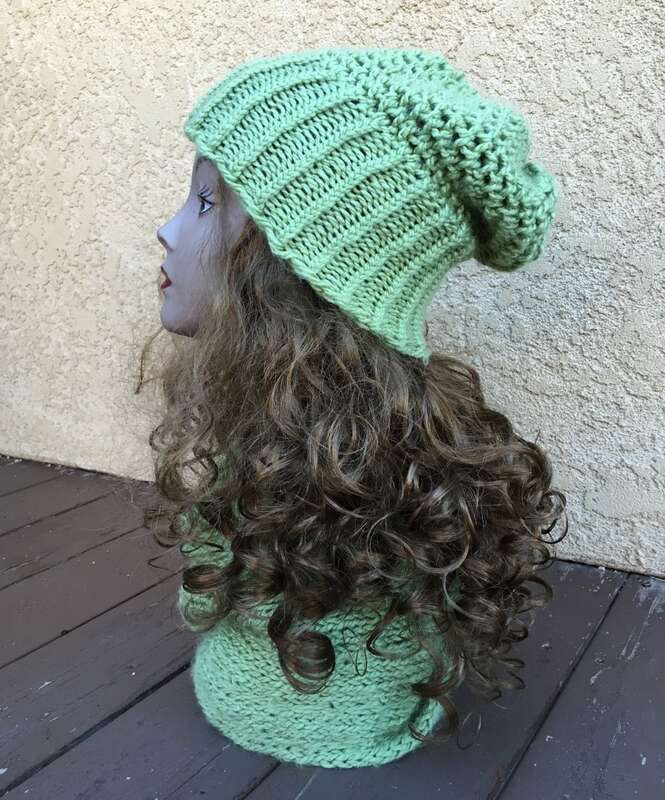 The green hat is knit with Bernat Softee Chunky yarn, which is a 5 (bulky yarn). Because the mock crochet is a little tricky, I would suggest that an advanced beginner attempt this pattern. The Mock Crochet Slouchy Hat Pattern is ready for download now as a PDF file.